Made of elegant designed heavy brocade fabric, this challah cover presents the Shabbat table motifs in an elegant and colorful fashion. The artistic image includes, challahs, a kiddush cup with the blessing over wine neatly embroidered on it and a pair of candlesticks with lit candles. The design has colored flowers and leaves and a ribbon bow that enhances the design. 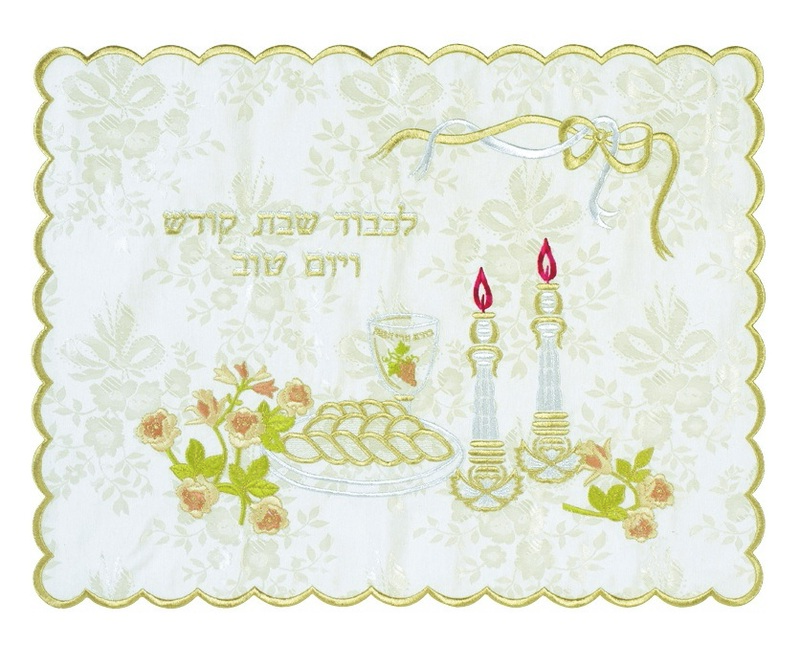 The Hebrew words “Likavod Shabbat V’Yom Tov”, which means “In honor of Shabbat and Yom Tov”, are embroidered above the images The edges are trimmed with gold thread in a scalloped design.